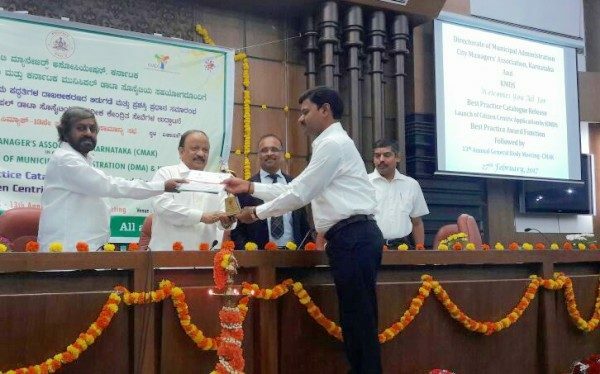 The urban development ministry awarded the Belagavi city corporation for collecting record break property tax by adapting new system to make reassessment of the properties in its limits. The city corporation had collected highest revenue more than target from property tax by making reassessment of properties last year. The urban development ministry appreciated this reassessment work and announced an award for new registering new system in municipal administration. The corporation had collected Rs 32 crore revenue from property tax last year. There was big difference and misappropriation found in property tax payment of Hindalco company. It was came to lime light when BCC officials reassessed the property said BCC commissioner Shashidhar Kurer. Following this, officials had reassessed all properties in its limits due to which there will be increase in the revenue of corporation. Corporations are known and awarded for collecting tax. Similarly they should even be punished for delay of projects, quality of work and corruption. They should be made accountable for time and tax payers money. Good to see the highest collection, now we need to check how this fund will be utilized, please construct public toilets every 500 mtrs to in city range and hand over them to unemployed poverty line people. This itself will keep more then half of the city clean.